Easter: the message of unconditional love and forgiveness. In a world full of hatred and grudge, where humans strive to bring about the destruction of humanity, we find in Jesus a refuge and hope of everlasting life. He sacrificed himself and demonstrated the greatest love of all. Romans 5 (6-8) For at the very time when we were still powerless, then Christ died for the wicked. Even for a just man one of us would hardly die, though perhaps for a good man one might actually brave death; but Christ died for us while we were yet sinners, and that is God’s own proof of his love towards us. Despite his great suffering on the cross, he did not seek revenge, and instead asked God to forgive those who had inflicted harm on him. 1 Peter chapter 2, verses 23-25: He committed no sin, he was convicted of no falsehood; when he was abused he did not retort with abuse, when he suffered he uttered no threats, but committed his cause to the One who judges justly. In his own person he carried our sins on the tree, so that we might cease to live for sin and begin to live for righteousness. By his wounds you have been healed. Matthew Henry: Come, and see the victories of the cross. Christ’s wounds are thy healings, His agonies thy repose, His conflicts thy conquests, His groans thy songs, His pains thine ease, His shame thy glory, His death thy life, His suffering thy salvation. Hukum garagoosh. The judgment of Garagoosh. This short expression is used when a peculiar or tyrannical judgment has been passed. The litigious nature of Sudanese society helps to account for why this Arabic saying about a judge called Garagoosh is commonly used. There are numerous stories about him such as that of Garagoosh although few can be as bizarre as that concerning a pregnant woman: It once happened that a soldier collided with a farmer’s pregnant wife as he rushed to climb onto one of the small boats that ferry people across the Nile. The incident resulted in the poor woman having a miscarriage. After the farmer brought a legal case against the soldier, the parties appeared before Garagoosh to set out their case. Garagoosh decreed that the soldier take the peasant’s wife to his house until she was pregnant again, and that after she had been pregnant for seven months she should return to her husband. “Oh my great master! I withdraw my complaints, and entrust my case to God and his justice,” was all that the flabbergasted farmer could plead. Another story relates how a creditor went to Garagoosh to complain that his debtor had failed to repay the sum loaned to him. In mitigation, the debtor explained that although he was a poor man he had endeavoured to repay the creditor. However, he had been unable to find the man when the money was in his pocket, and by the time they met the money had been spent. In response Garagoosh passed judgement that the creditor should be gaoled so that the debtor would know the place to hand over the money! On hearing the sentence the creditor didn’t hestitate to forgive the debtor all the money he had borrowed! Our book on Sudanese Arabic Proverbs is thankfully finally seeing the light of day! This collection of proverbs provides a fascinating glimpse into the culture, social morals, historical traditions and humour of the Sudanese people. Learning some of these proverbs can be a great way of sharing your sense of humour or expressing an opinion without having to stumble on words that might be misunderstood. For the most part, these succinct sayings call for virtues that encourage solidarity, peace and coherence within society. 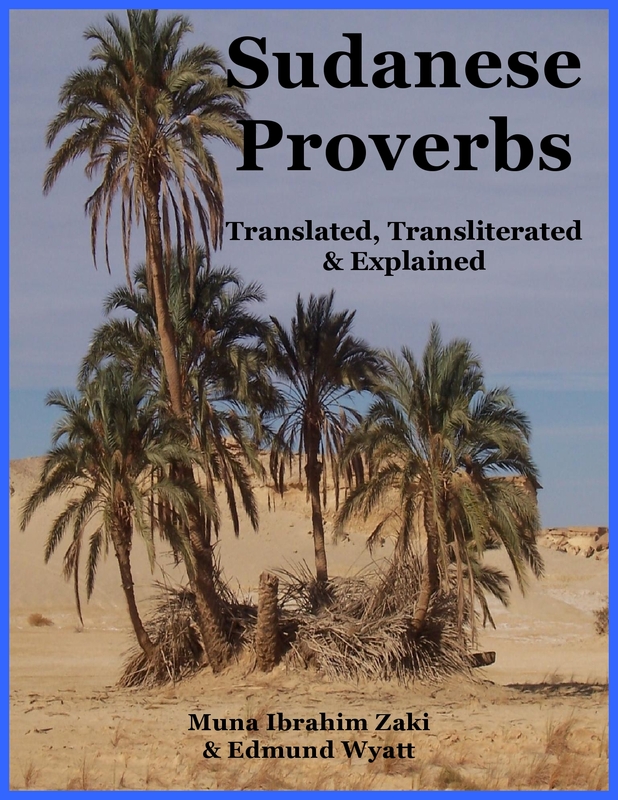 Contains over 560 Sudanese Arabic proverbs that are commonly used in the Sudan. Each proverb has an English translation. The transliterated script guides pronunciation and assists beginners in learning the Arabic language. Concise notes explain the meaning and cultural background of each proverb. Includes a dozen folk-tales linked to individual proverbs. An alphabetical index is supplied for easy reference. The mule is in the pitcher! minuu al bigdar yiguul al baghla fi l-ibriig? Who could say that the mule is in the pitcher? There was once a judge who passed an unfair verdict that a man should be given 60 lashes and fined 60 pounds. The hapless man was forced to accept the judge’s sentence. He went out after the execution of the verdict filled with anger and resentment that he was unable to discharge. On his way, he met a genie that saw the signs of rage on his sullen face. When this genie asked what the matter was, the man told him about the unjust sentence passed by the judge. The oppressed man readily agreed to the genie’s suggestion. 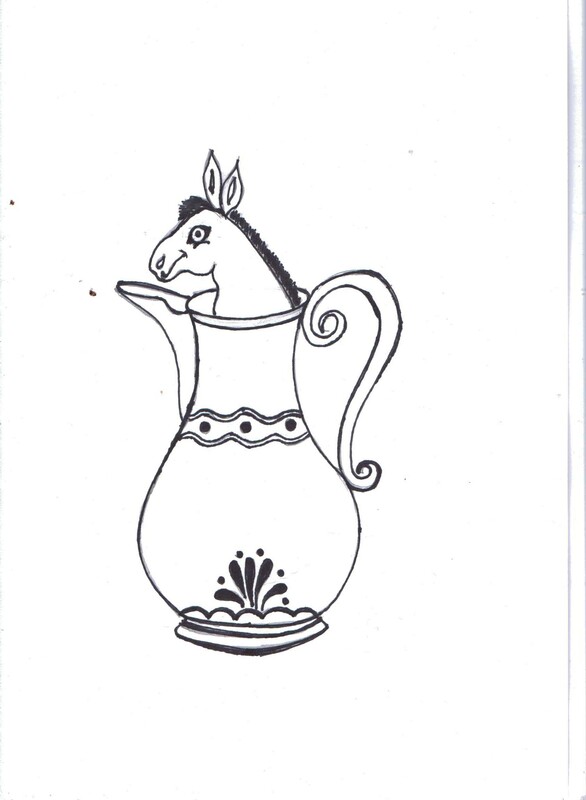 In the flash of an eye, the genie was transformed into a very handsome baghla (mule). Now the judge was well-known for being passionately fond of mules. Knowing this the genie suggested that the man should sell him (as a mule) to the judge for the set price of 6000 pounds. The man led the mule around the village until he passed by a group of people amongst whom was the judge. As expected, the judge admired the animal and asked the man to sell it to him. The man followed the genie’s advice and asked the judge to pay 6000 pounds. The judge agreed to the exorbitant price because the mule was an exceptionally fine one. From that time on, he rode the mule wherever he went, and bragged to everyone that he had the finest mount in the district. People hurried to him to ask what was wrong. When he told them that the mule was in the pitcher, the people looked inside but only saw the water. They tried to convince him that it was just his imagination but the judge swore by his faith that the mule was in the pitcher. Naturally the people thought that this was absurd and began to scoff. ‘Couldn’t the judge see the mule standing before him?’ they asked incredulously. The people thought that the judge had become mad so they took him to a religious sheikh to seek some treatment. The judge tried to convince the sheikh that the mule really had gone inside the ablution pitcher but to no avail. The sheikh was convinced that the bedeviled judge had completely lost his mind. He stared to flog him hysterically with his whip but even then the judge continued to scream, ‘The mule is in the pitcher! The mule is in the pitcher!’ until he lost consciousness. When he regained his senses, he found his mule standing in front of him. Then the people asked the judge where his mule was. He pointed to the mule before him and it seemed to everyone that he had been healed from his madness. However, as soon as the judge was alone with his mule, it returned back to the pitcher and the judge started once again to shout and scream madly. The people took him back again to the sheikh who flogged him violently. This situation continued for a long time with the judge being beaten each time he relapsed into apparent madness. 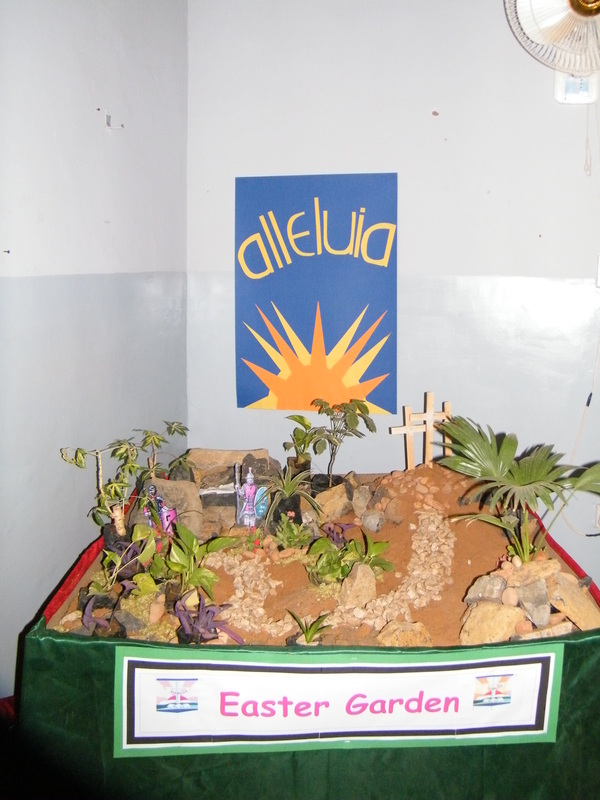 Flicking through some photos taken during the last year, I came upon one of an Easter Garden at Unity High School , Khartoum. Unusually, many Christian denominations were celebrating Holy Week at the same time. My contribution was to make this Easter garden.